This month one hundred years ago apart from the American Navy settling into Queenstown and World War I raging, local issues, such as poverty and charity also dominated the media headlines. The flag day for the Cork poor in March 1917 made £300 and was distributed to St Vincent de Paul Society (60). Ladies of Charity Society (£ 60), Sick Poor Society (£60), Police Aided Society £ 60 and the Indigent Room Keepers’ Society (£60). Cork has six conferences in the city attached to the St Vincent de Paul Society in 1917. The City president was Francis J Murphy of Shanakiel House, who was also the Chairman of his family’s business J J Murphy’s Brewery in Blackpool. There was also a St Vincent de Paul Ladies Association who tasked themselves in looking after widows and orphans led by Miss K M Murphy of the Bons Secour Convent. The Cork Examiner for May 1917 had a media campaign asking Cork citizens to donate money to the St Vincent do Paul Society. The prices of bread, milk and coal were abnormally high, and if the Society was to continue its work it would require more money. Its average income for the previous thirty years had been £l,780 per annum, but in 1917, owing to the increased cost of food and growing poverty in the city, the society noted that at least £3,500 extra was required. Their entire administration of the Society was carried out by voluntary workers. During 1916, the families relieved numbered 890 comprising 4,372 persons, old and young. This necessitated 7,028 visits by members of the Society to what they deemed the “homes of the distressed”. Nine years previously in 1908, the number of visits paid was lower at 4,540. In 1917, over 80,000 2-lb loaves of bread, 15,555 pecks of coal, and 63,064 pints of milk were distributed. The Society relieved distress wherever found, regardless of class or creed of those requiring assistance. In 1833, Frédéric Ozanam, a young French student and six companions, studying at the Sorbonne in Paris, founded the St Vincent De Paul Society. A year later membership had grown to over 100 people. Within a short few years of foundation, conferences (branches) were established throughout Europe and North and South America. By 1853, there were 2,500 conferences throughout the world, each linked to the Council-General in Paris. The first society conferences in Ireland were established in Dublin in 1844 and was introduced to Cork in 1846. Today there are c.1203 conferences in Ireland with 11,000 volunteer members. 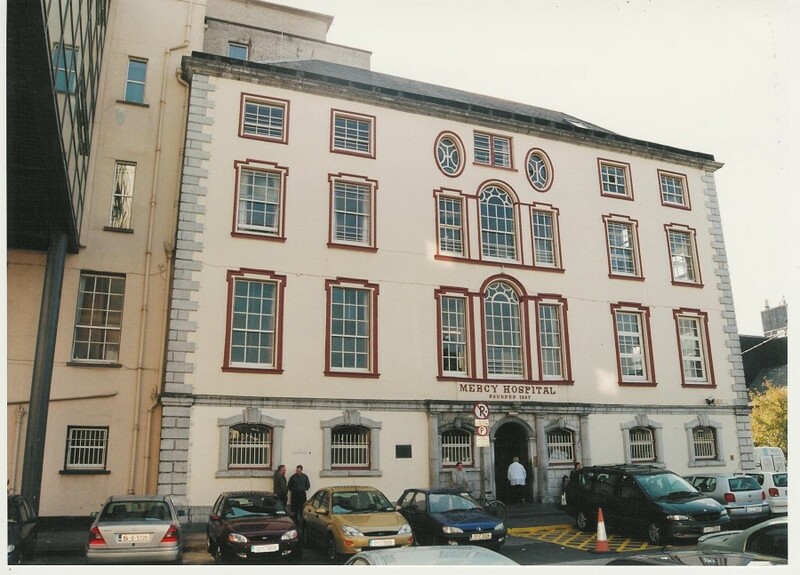 The first annual report of the St Vincent de Paul Society in Cork was read at the general meeting at the Mansion House, now the Mercy Hospital on 8 December 1846. This can be viewed in the Boole Library in UCC and reveals the early development of the first Cork conference. It was formed in March 1846 with ten members. By 15 March, the organization was up and running with their officers, namely—a President, two Vice-Presidents, Treasurer, and Secretary; they waited on the Cork Bishop to examine their regulations and plan and to appoint a spiritual director to the Society. After that the next step was to procure “letters of aggregation” from the Council General in Paris. With letters secured, society members began visiting the poor on 7 April and, on 13 April, issued their first relief of food poverty depot tickets to 26 cases. These were poor families, of which, at the request of the Sisters of Charity, and Sisters of Mercy had added to society’s list. By December 1846, the weekly relief extended to 98 families consisting of 470 individuals. For the first three months, the society was accommodated with a room at the Mansion-House, by the Rev Michael O’Sullivan, but from 15th June, they held their meetings in a more central site, at the house no 4, Morrison’s Island, kindly placed at their disposal by the Murphy family. During March and April 1848, the Society of St Vincent de Paul gave relief to 401 families consisting of 1,670 individuals — the food distributed included 16,156 lbs. of Indian meal, 16,758 lbs. of bread, plus bedding-straw, clothes and blankets. In 1861, there were three well-established conferences meeting weekly in Cork City. The members of the Society strove to meet the necessities of the time. They set up night schools, when these were required; a boys’ brigade was formed; a Prisoners’ Aid Society worked with no publicity in connection with the Cork Prison; a savings bank was formed; in later years, hostels were established. By 1890 the St Vincent de Paul Society in Cork City offered help to 753 families and conducted 3,315 visits were paid per annum. The Ladies Society made nearly 4,000 visits to widows and orphanages per annum. The increasing scale of charity work is also reflected in the early Irish Free State. In 1925, the number of families relieved were 773 with the number of persons in families totaling 12,799; the total number of visits paid was 21,221; the number of 2-lb loaves distributed reached 151,009 with the number of pints of milk distributed at 141,183; the number of pecks of coal distributed reached 21,487 – all paid for through regular fundraising initiatives across the city and from donations from the wills of citizens.